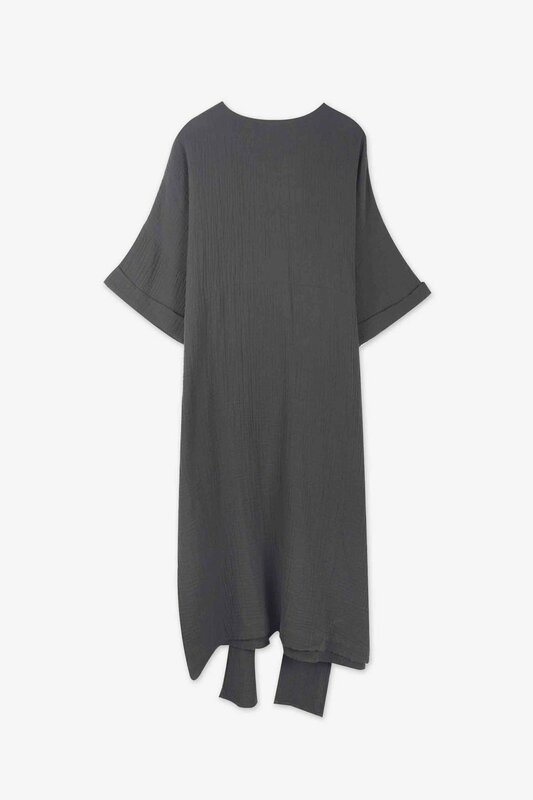 The essence of calm, this dress is made of a dreamy pure cotton fabric. It features an attached tie to cinch at the waist, rolled cuffs, a discreet back zipper, a single seam running horizontally below the chest, and a soft textured quality. 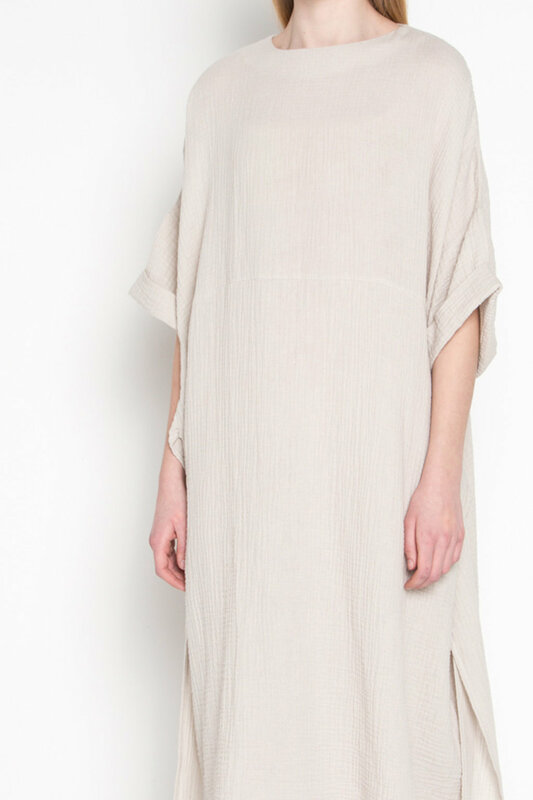 Try wearing this blank canvas dress with your favourite jewelry pieces. Fit: Relaxed Approximate Measurements: XS: 54” chest x 44” length S: 56” chest x 44.5” length M: 57” chest x 45” length L: 59” chest x 45” length Model wears a size small. Model's height is 5'9".